Solid Gold Omega ladies cocktail watch in 14 karat gold. 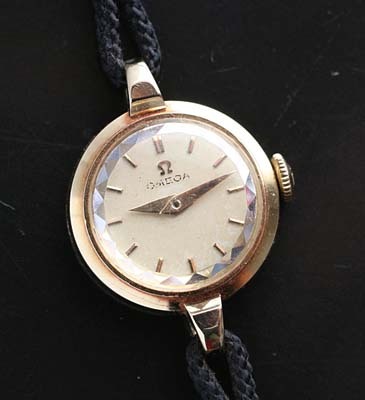 A vintage Omega ladies cocktail watch is solid 14 karat gold dating to 1956 based on the serial number of the movement. The most visually striking feature of this beautiful ladies watch is the facetted crystal fitted to the case. 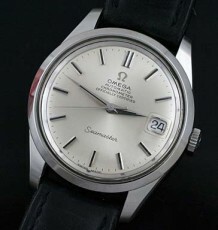 The crystal is original to the watch and glistens depending on the angle at which the sun hits it. The all original dial has a light parchment patina that compliments the yellow gold case and is very pleasing to the eye. 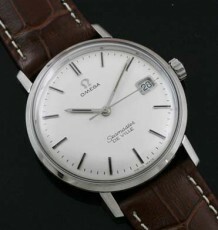 The watch is fitted with the 17 jewel Omega manual wind calibre 244 movement is freshly serviced and keeping great time. What is somewhat unusual is that although the case is round, the movement fitted is rectangular in shape. 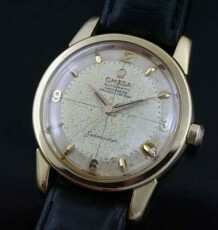 The case is fully signed Omega and is stamped 0.585 indicating the gold content at 14 karat. 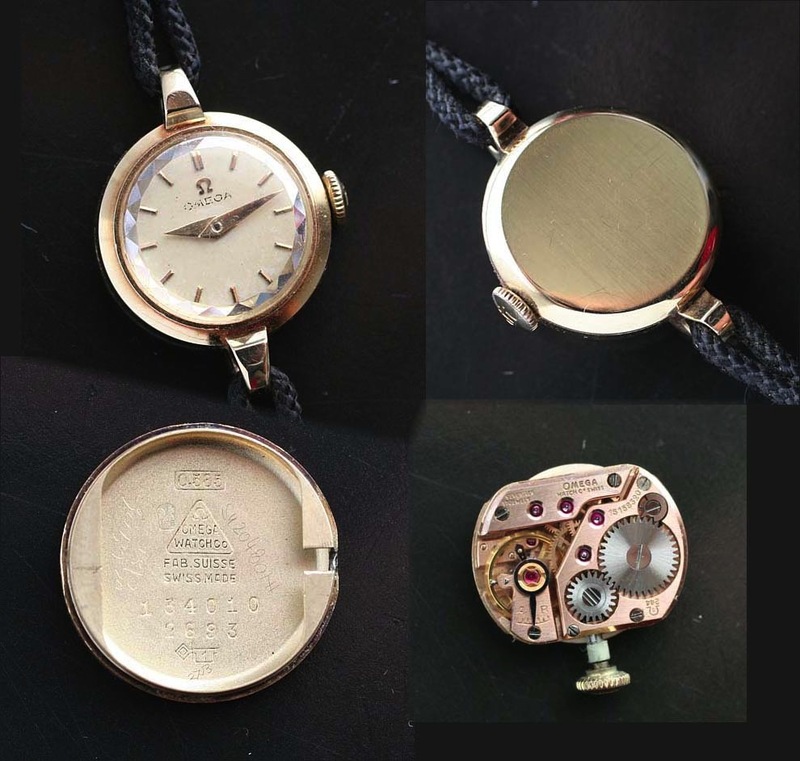 The watch measures 19 mm wide by 28 mm long including the solid gold lugs. 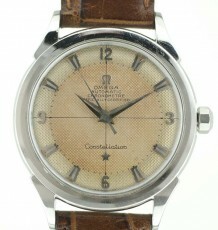 the watch is supplied on a black corded strap.